One thing about working in theater – you can depend on something to go wrong. On stage mishaps, especially ones where the audience somehow doesn’t hear the story, become the stuff of myth. There is one story, probably apocryphal, about legendary actor Richard Burton playing a season of Othello. Apparently since both lead parts require tour-de-force performances, the two lead actors would alternate the two characters each performance. Burton alternated at the Old Vic in 1955, with John Neville, and again performed in the mid-1960’s – some versions of the theater myth say with Richard Harris, but I can’t find any evidence of it. The story goes that one matinee, the two actors slipped out over intermission for a few drinks at the pub nearby (as Burton’s drinking was also legendary). When they returned to resume the play they went on playing the opposite character from how they started the show, but the audience, as the saying goes, noticed nothing amiss. As sweet as this story might be, I have doubts, mostly because of the makeup. Othello himself would have been played in blackface, and the time it would take to remove prior to heading out for a drink, and then for the other actor to reapply, would have made for an extraordinarily long intermission. Actors are good at improvising when props go haywire. Once the “doctor” pulled on latex gloves and it tore (my fault for not replacing the rehearsal ones with new). The line was “it’s just routine” just as the glove tore, and she added “though you wouldn’t think so”. Sometimes the set wants to get into the act. Theater veterans know that something that stays put fine all through rehearsal, will always choose opening night to fall down, fly off or get stuck. 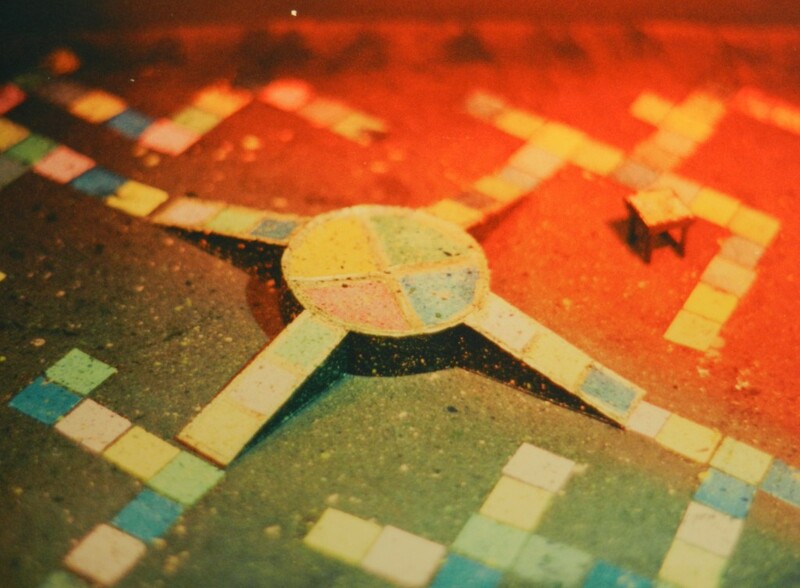 In my college production of Macbeth, I had glued a piece of pizza (that’s another story) to the set and painted it in invisibly. It chose the climactic fight scene (“lay on MacDuff”) to leap off into the middle of the floor. One of the actors kicked it away in the course of the choreography. Here’s else something that happened to me, so I can vouch for the truth. In one production of Joe Di Pietro’s sketch comedy play, Love Lemmings, at the Rep Theatre in Sydney, my set design resembled a giant Trivial Pursuit game board. There was a circular riser, with four ramps leading to it. Over intermission, we removed two of the ramps to facilitate the finale dance number. So one performance the crew did their usual thing. I looked at it. The director looked at it. The Stage Manager looked at it. The ASM looked at it. The lighting and sound board operators looked at it. Something felt wrong, but what? The start of Act II featured an actor swinging like a pirate from a rope up in the rafters, landing on the central riser. This time, as I stood near the booth, he looked down, turned to us and said, “Wrong ramps” and then swung off to begin the scene. Oops – the crew had taken out the wrong two ramps. Oh the consternation backstage! We had to find a time to do a swap between the scenes that would not be a dead spot in the middle of the play. Or else the entire ending would be screwed up. There was back and forth, back and forth. And I should add, no headsets in this little arena theater, so notes being carried up and down. Finally we realized that before the disco scene was the moment. I put my own rhinestoned beret on the ASM, and we alerted the actor to do her change and then pause in the corner. The ASM and the SM sauntered out, moved the two ramps unhurriedly, and then, as I suggested, threw their arms around each other and staggered out giggling, so the moment segued into the disco scene, to a nice laugh from the audience! Thank goodness there was enough music – a case in point to always record more than ample between cues. The audience noticed nothing amiss. Previous Don’t Make These Common Cover Letter Mistakes!